Sea of Thieves update 1.08 removes cosmetics that were too similar, prepares for the Hungering Deep | PowerUp! Rare has announced the release of the Sea of Thieves update 1.08 today which features plenty of quality of life changes, bug fixes and more. Sea of Thieves update 1.08 comes just ahead of the release of The Hungering Deep, which launches on May 29. Of the updates and fixes included in Sea of Thieves update 1.08, one of the most significant is the removal of eight cosmetic items that fans complained were too similar. 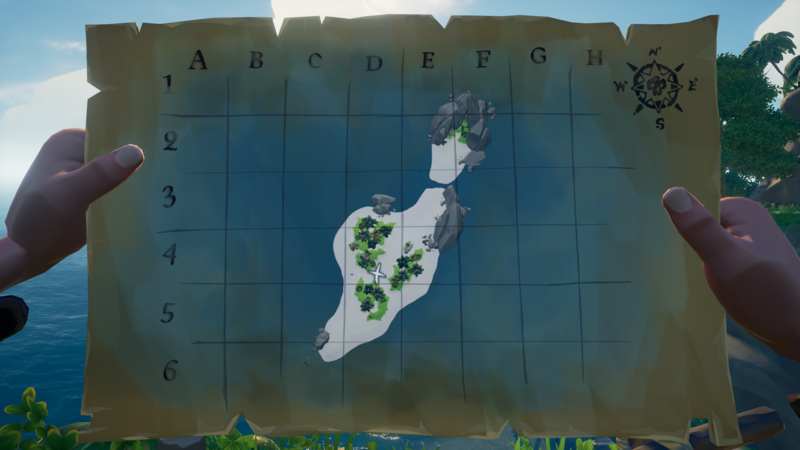 Other changes being implemented include the ability to discard unwanted quests without having to propose them at the Captain’s Table, additional Lore books in the world and a Colourblind option for the X marks the spot. Fans are sure to be happy with the ability to discard quests from anywhere. Having to travel to the Captain’s Table and propose a quest simply to discard it was awkward and frustrating. With update 1.08, this is definitely improved. As a person who is colourblind, I’m also incredibly pleased with the new colourblind option as it was, often, very difficult to make out the X on some maps. The full list of patch notes can be found here or below. Rare has announced that the update will be applied later today with servers being offline between 6 pm AEST and 11 pm AEST (9 am – 2 pm BST & 4 am – 9 am ET).